Shopping for a used truck takes lots of factors into account. Beyond just the standard considerations of your favorite make and model, you have to think about truck-specific things like cab configuration, bed length, payload, towing and hauling capability, and more. Finding the truck that does everything you need it to do and comes at an affordable price to boot can take a fair amount of time and effort. Or you could simplify the whole process and shop Sycamore-DeKalb Auto Group. We have seven dealerships in the area – all stocked with a diverse inventory of used vehicles. For truck shoppers specifically, our dealerships stock models from all the big names in truck brands: Chevy, Ford, RAM, Toyota, and more. Whether you’re in the market for a budget-friendly barebones work truck, a fully loaded luxury-grade family pickup, or something in between, you’ll find some fantastic options in our inventory. The used trucks in our inventory have all been thoroughly inspected by our trained automotive experts before being listed for sale. This ensures that all of the used vehicles we stock live up to our high standards for quality. Quality is important, but so is price. We’ve got you covered there, too. Our used trucks are priced to sell from the start, and we even offer extra savings from special offers and incentives. We even list a selection of used vehicles priced under $10,000. While you’re browsing our inventory, you can use our handy Payment Calculator to get an estimate of how much your monthly payments will be on the truck you want to purchase. We also have a Value Your Trade tool that will help you find out how much your current car is worth. This will give you a better idea of how much truck you can actually afford. 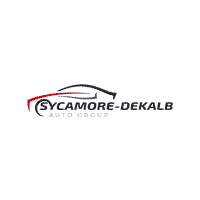 Armed with knowledge and a good idea of the used trucks you’d like to take a closer look at, you can visit one of Sycamore-DeKalb Auto Group’s dealerships and be well on your way to driving home your ultimate used truck! Whether your used pickup is going to serve as a work vehicle, a family transportation vehicle, or a mode of adventure, you’ll find excellent options among the Sycamore-DeKalb Auto Group selection. With vehicles of this quality and at such attractive prices, you need to act fast when you spot one that you’re interested in. Visit one of our fantastic dealerships today and get a great deal on your used truck!